As many of you probably know, I've been getting back into drawing lately! I've been trying out lots of new techniques, most of which involve mixing pen & ink with digital editing. I recently decided to start drawing my characters. In one of my previous posts on character development, I mentioned making Pinterest boards to help develop your characters' aesthetic. For one of my characters, Kelly, I combined a few of the photos on her Pinterest board to create a drawing of her. I started by drawing her outline in pencil, which I then went over in Micron pens. Then, I scanned it into the computer, and colored it in Gimp (I don't want to pay for Photoshop). I colored it by creating a second layer underneath the outline, and then tracing the outline in the color for that section. For her eyes, I made a layer on top of the outline, and colored in the different sections. The eyes took the longest. 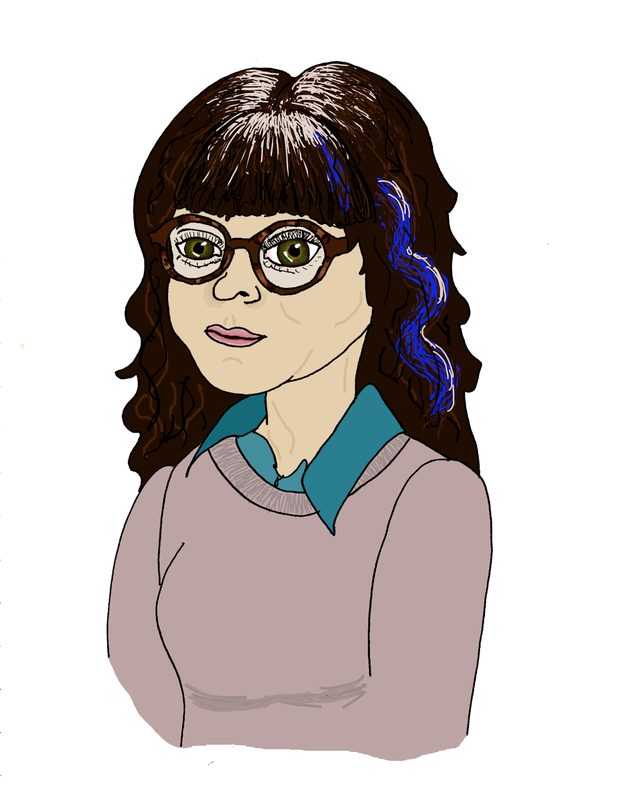 Feel free to comment or reach out to me if you'd like more advice on drawing/coloring in Gimp. Even though my drawing obviously isn't photo-realistic, it was still nice to draw a picture that wasn't a collage on Pinterest, but rather an illustration of solely this character. So I'd recommend drawing your characters! Especially if, like me, you want to practice drawing a lot lately to get better.